Manganese Steel Scraps shall consist of non-magnetic manganese/steel alloy materials. 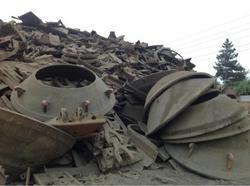 May include manganese grinder plates, concaves, mantles, crusher jaws / bowl liners (11- 14% manganese steel). Shree Shiv Shankar Trading Co.
We are supplying manganese scrap. So as to become a preferential business name, we are thoroughly engrossed in shipping an inclusive collection of Manganese Steel Scrap. We offer them at reasonable rates. These are highly demanded. We are the trustworthy firm of quality approved range of Manganese Bronze Scrap. We are engaged in offering a wide range of MN-BR cut pieces. Available in varied sizes and dimensions, this variety is widely known for its features like high quality and durability. These are highly resistant to pests and various climatic conditions. We have emerged as the foremost manufacturer and supplier of Manganese Scrap those are converted into new product after melting it. Client purchase these at nominal price. We are engaged in supplying and trading a widely demanded and usable array of Magane Steel Scrap in Ahmedabad, Gujarat, India with our clients and dealers. The scraps we offer can even be used in varying temperatures. These scraps are mainly recycled to produce good quality stainless steel products. We offer these scrap at market minimal selling price ranges. 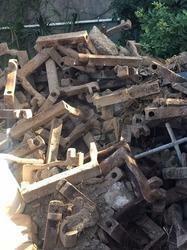 Customers can avail from us a wide array of Manganese Scrap. This range is available in precise specifications and possesses upgraded features. Sourced from trusted vendors, our range is highly praised for providing smooth operations and high strength. As well, this range is available in the market in accurate shapes and sizes.